Carl Icahn isn&apos;t letting his historic, televised, verbal beat-down of Bill Ackman distract him from the thing that, unlike this Ackman guy, he likes: namely, harassing companies to do his bidding. 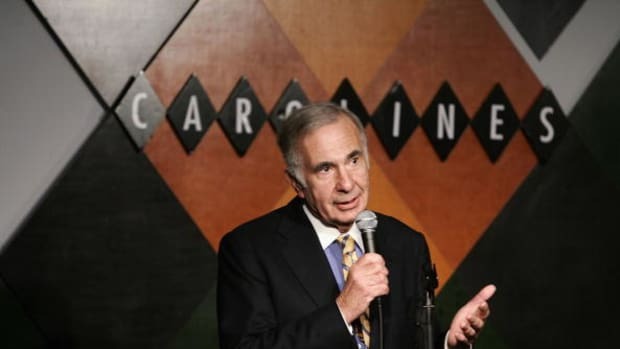 Activist investor Carl Icahn increased his stake in Transocean Ltd. to 5.6% and urged the offshore oil-drilling contractor to declare an at least $4-a-share dividend, saying he believes its shares are undervalued. Mr. Icahn and his affiliates have had talks with Transocean management and plan to continue them, according to a regulatory filing. Mr. Icahn "strongly believes" Transocean should return capital to shareholders and should declare a per-share dividend of at least $4.